< Bitcoin is a Protocol. Currency is Its First Killer App. The telephone analogy is discussed in detail in Konrad S Graf’s masterful intro to Bitcoin, entitled Bitcoin Decrypted, “an introduction to Bitcoin that spans practical, technical, historical, and social-theory perspectives in an integrated narrative.” Below is Part 3 in the video series, Bitcoin Decrypted: Social Theory Aspect. I highly recommend this to Bitcoin newbies and die-hard Bitcoiners alike. It’s a tour de force presentation. So, Mr. Krugman, if you are reading this (which is very unlikely), how about you arranging a debate with people who are deeply knowledgeable in monetary theory and Bitcoin economics? Wouldn’t this be a more intellectually honest approach rather than doing drive-by shootings at Bitcoin from the comforts of your own blog? I vote for Konrad S. Graf and Peter Surda (aka Bitcoin Economist) to take you on. 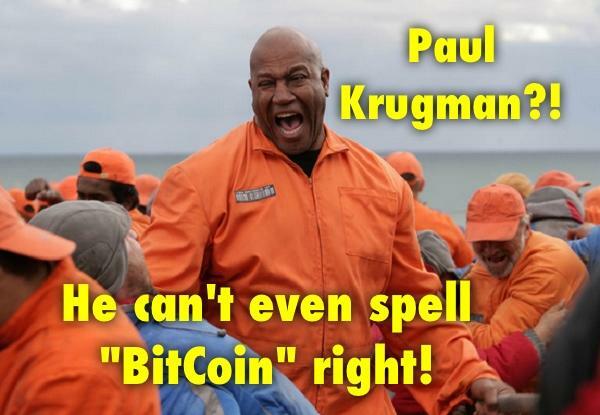 Surely, a Noble Prize winner in Economics can handle two Bitcoin enthusiasts at the same time. I’ll be waiting for you Mr. Krugman to be civil and do the right thing. In the meantime, here’s Peter Surda on the economics of Bitcoin. me the attractive images of these magic seats from the Honhda Australia Homepage. So you have no idea what “intrinsic” means. Thank you for another informative web site. Where else may I get that kind of info written in such an ideal method? I have a project that I’m simply now working on, and I have been on the glance out for such info. ffor sharing this one. A must read post! This was posted by c4chaos on Monday, December 30th, 2013 at 11:36 pm. Bookmark the permalink.